... what invites you to stay! The "Pension Hohenrainer" is a special hotel for family-oriented vacationers in the heart of Austria, i.e. for families managed by a family. 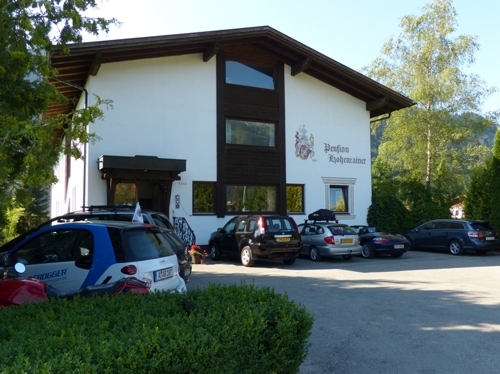 The owner family Hohenrainer manages the pension with particular care. Here you get an atmosphere and ambience necessary for relaxation and well-feeling in clean and healthy, alpine environment, i.e. celebrating vacation in all its splendour. The special surroundings of Ehenbichl, the skiing area "Hahnenkamm", the entire region Ausserfern, even the province of Tyrol as a whole,offer a unique combination for planning an eventful vacation program and returning home with a feeling of satisfaction and high spirit.